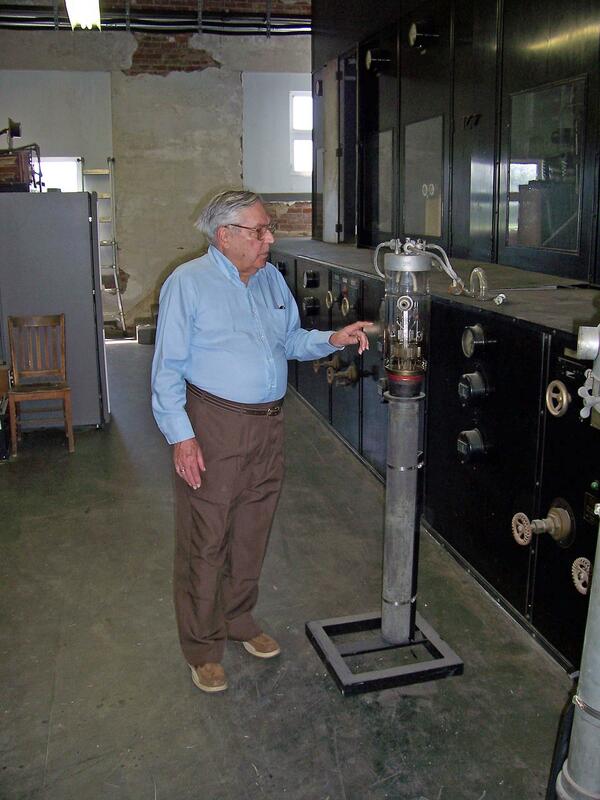 Engineer Clyde Haehnle with tube from WLW-AM's 500,000-watt transmitter. Haehnle, who died Sunday at age 95, was a walking history text about Cincinnati's rich Crosley Broadcasting innovations. He helped build some of them, and later in his career oversaw the sale and liquidations of the Crosley/AVCO Broadcasting properties, including WLWT-TV and WLW-AM. 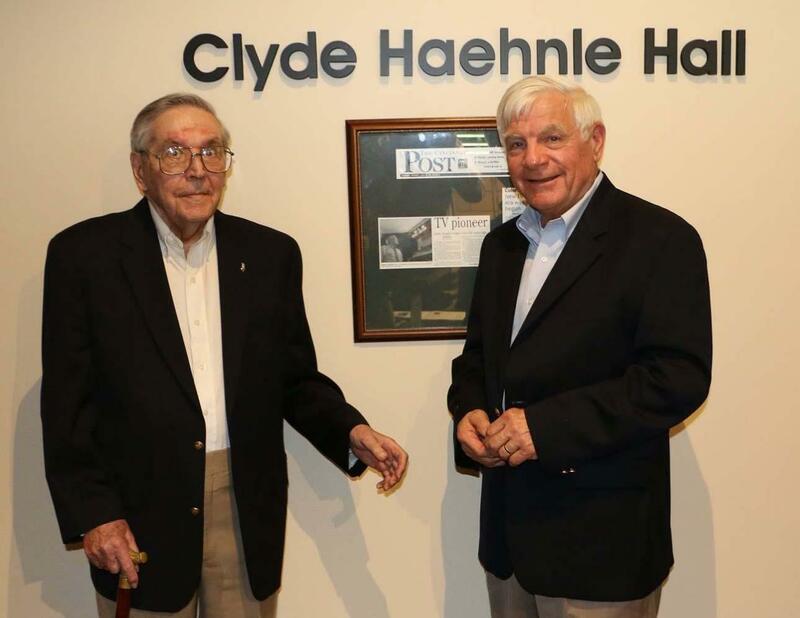 Clyde Haehnle and Jack Dominic at VOA Museum's Clyde Haehnle Hall dedication in May 2016. As vice president of engineering at Crosley/AVCO, he was responsible for bringing the first color TV broadcasts to Cincinnati in the 1950s. He also was the broker who helped form Jacor Communications (now part of iHeartMedia), and worked on the committee which planned and built the Crosley Telecommunications Center, 1223 Central Parkway, home of WCET-TV (Channel 48) and Cincinnati Public Radio's WVXU-FM and WGUC-FM. 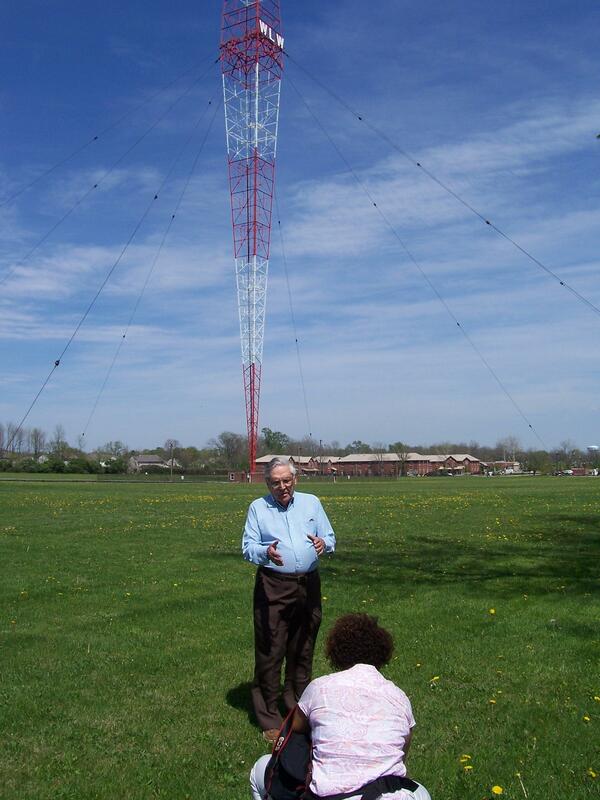 Clyde Haehnle being photographed by Cara Owsley in 2009 at WLW-AM tower in Mason. Haehnle (HANE-ly) also was a dedicated local historian and broadcasting advocate who served on the boards for WCET-TV and National Voice of America Museum of Broadcasting. The VOA meeting room was named in his honor in 2016. After graduating from Withrow High School, he studied electrical engineering at the University of Cincinnati and was a co-op at the Crosley Corporation. His first assignment was at the WLW-AM transmitter on Tylersville Road in Mason, the nation's most powerful radio station at that time. The government gave Crosley "super power" to experiment with broadcasting 500,000 watts from 1934 to 1943. I interviewed Haehnle several times about the 500k "super power" days, and he gave me a tour of the transmitter site, a red brick building is still located just west of WLW-AM's iconic diamond-shaped tower. Haehnle at the 500,000-watt transmitter. WLW-AM's 1934 "super power" transmitter really was "the big one," to use the station's favorite promotional branding: It was 54-feet wide, 13-feet tall and 7-feet deep. My favorite photo of Haehnle is atop this story – Clyde standing next to a 5-foot glass radio tube, one of 22 which powered the signal. Each tube cost $1,624 back then. 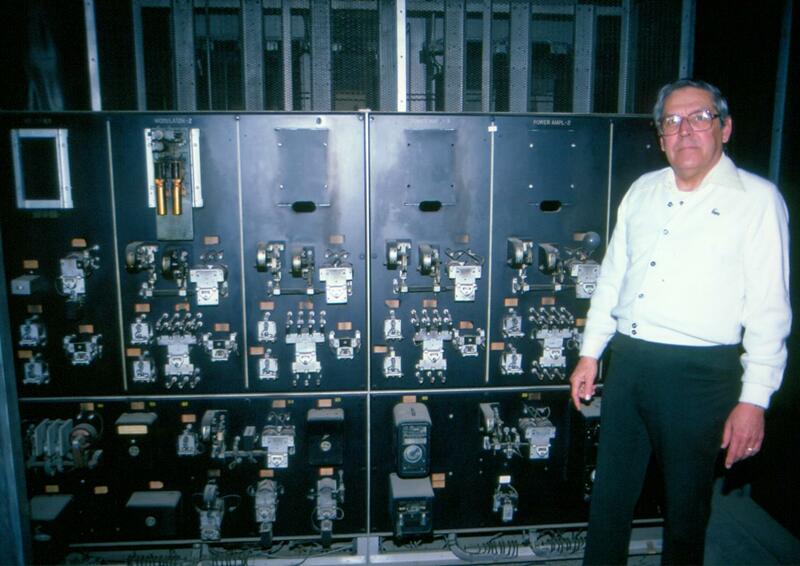 Haehnle with a 500,000-watt transmitter tube in the transmitter building. After graduating from UC, one of Haehnle's first projects in 1944 was working on the Crosley team which designed and built the Voice of America's Bethany Station, now the VOA Museum of Broadcasting, and its vast array of antennae to transmit high-powered shortwave radio programming around the world. Haehnle designed the antenna patterns, "requiring extensive mathematical calculations… with pencil, paper and a slide rule," says Jack Dominic, National VOA Museum of Broadcasting director. 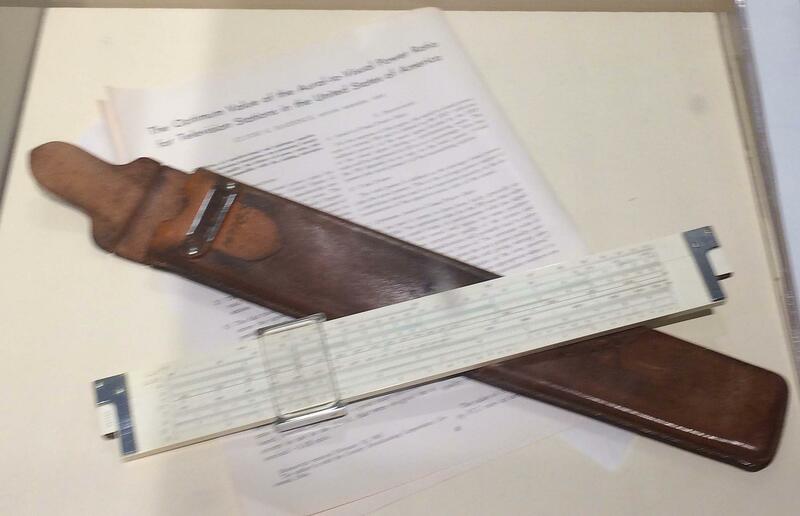 Haehnle's slide rule is on display in the VOA. While at Crosley, he was responsible for shortwave engineering, development of new AM broadcast transmitter technology and development of television stations. He was named AVCO vice president in 1965, and remained with the company as the final employee in 1976, as he sold off all the assets and property. He then worked for R.C. Crisler Co. as a broadcast station broker, where he helped form Jacor Communications (owners of WLW-AM and WEBN-FM), now part of iHeartMedia. 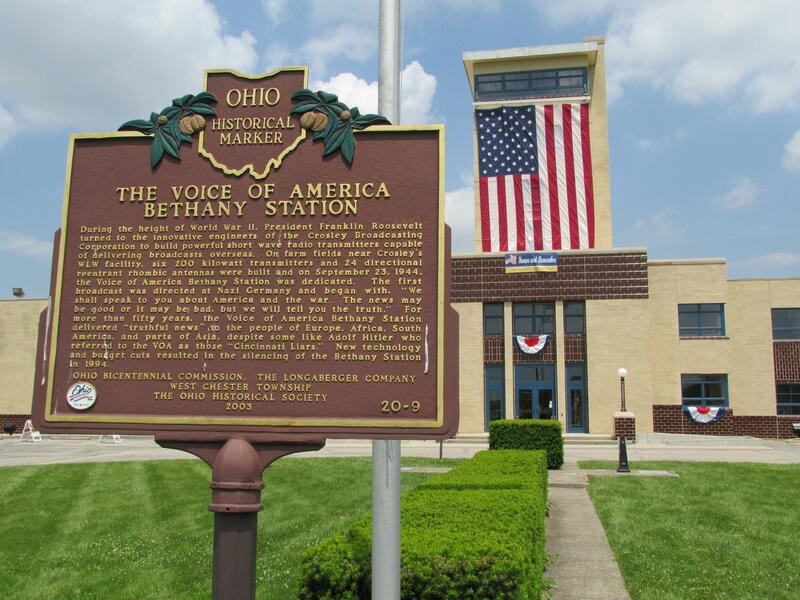 National VOA Museum of Broadcasting building in VOA's old Bethany Station on Tylersville Road in West Chester Township. In 2009, for the 75th anniversary of WLW-AM's first 500,000-watt transmission, Haehnle met me at the Mason tower. He told me that WLW-AM broadcasts from the Warren County hilltop were heard in Mexico, Canada, South America – and in Mason-area downspouts, gutters and stoves. "There was a motel at U.S. 42 and Tylersville road where the neon sign would never go out because of the energy from the transmitter," he told me. "We had a crew that did nothing but go out and tighten loose gutters with sheet metal screws." Haehnle's slide rule on display at the VOA museum. Haehnle "held many patents in electronic technology and continued to be a curious and thoughtful proponent of technology well into his ninth decade," Dominic said. "Heahnle’s untiring leadership and support has enabled the National Voice of America Museum of Broadcasting to develop into a rich educational institution celebrating the role broadcasting has made in the dissemination of programs globally encouraging democratic principles to truth-starved audiences." The VOA museum plans a celebration of Mr. Haehnle’s life later this spring. News anchor Rob Braun said in a WKRC-TV staff meeting Wednesday that he's been getting death threats after Channel 12 started airing a statement by owners Sinclair Broadcast Group complaining about media companies pushing "their own personal bias and agenda."